This racing chair can not only give you a comfortable gaming experience, but also relax your body. It can minimize spine aches and pains as much as possible. Of course, you can sit on it for a nap. 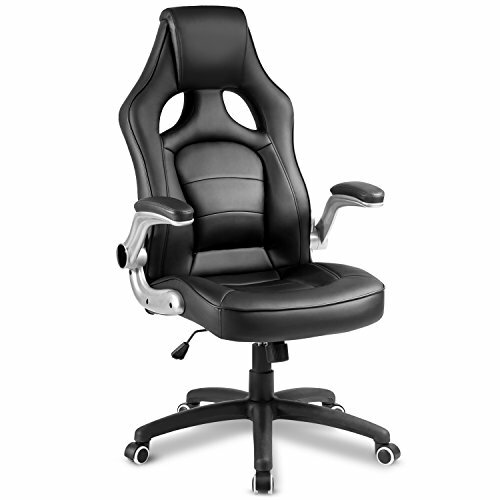 Designed in an ergonomic race car style with contoured segmented padding, this chair provides high-performance comfort whether used during intense gaming sessions or long work days. The whole chair can rock back and forth, which is not only suitable for napping and seating, but also can offer a wonderful experience when listening to music. Additional features include seat height adjustment, tilt-lock/tilt-tension control and 360-degree swivel. Dimension: 20.5 inch L x 18.5 inch W x 49.20 inch H.